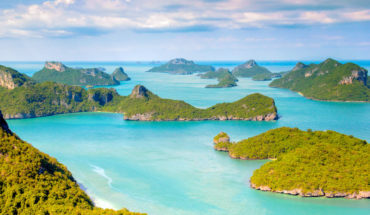 Popular Angthong Marine Park – an archipelago made up of 42 islands – draws myriad vacationers with its numerous attractions. There’s something for every traveller: the island’s impressive marine life is best explored through scuba diving and snorkelling adventure, its scenic landscape offers a visual feast for hikers and kayakers, and the idyllic white sand shores are just right for a relaxing day on the coast. Paradisiacal Koh Nang Yuan is perfect for a day trip. 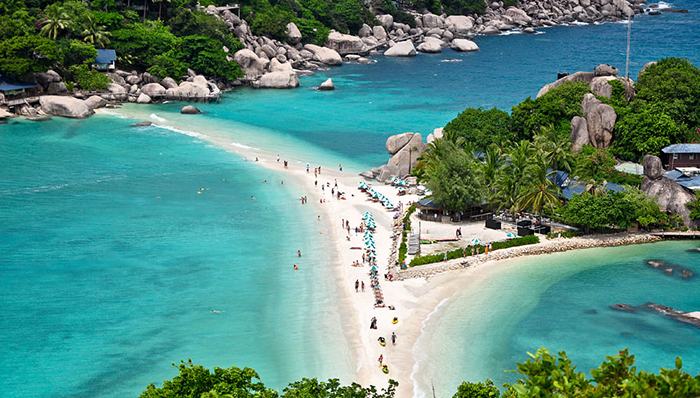 Often regarded as a small island, Koh Nang Yuan is actually made up of three rocky outcrops connected by two narrow coasts that disappear from view when the tide rises. There’s much to see and do, whether you’re into activities like snorkelling, scuba diving and hiking, or are simply in the mood for spending a lazy day on the beach. Explore the shallow reefs and colourful marine life surrounding the island, or take a quick 20-minute hike up to the island’s viewpoint – the peak of the smaller rocky outcrop. The duration of the hike may be short, but the steep steps may make it tricky for some to ascend to the top. But once you’ve reached the peak you’ll be rewarded with a mesmerising view of the island, its coastlines and the boundless ocean. An entrance fee of 100 THB applies for travellers who aren’t guests at the resort. There’s only one restaurant and a beach bar on the island, and prices are expensive as these establishments are located within the compound of a resort. The menu doesn’t offer many options either, so it may be a good bet to pack along food and drinks for your day trip. Plastic bottles and containers are banned on the island. If you’re bringing food and beverages, make sure these items are packed in carton or glass containers. 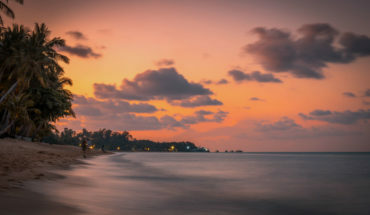 Koh Phangan may be known for its full moon parties, but that’s not all there is to the island. There’s something for everyone, whether you’re a traveller visiting for a short stay or a digital nomad keen on living there for the long run. The island attracts vacation makers with its incredible scuba diving, free diving, nature treks and viewpoints. Adrenaline junkies will enjoy taking on the obstacles at The Challenge Phangan. Expect lots of swimming, climbing, jumping and falling as you attempt the various obstacles, and arrive with endless energy and a sense of fun. But a vacation isn’t always all about fun and enjoyment. Travelling and living abroad may help things into perspective, and lets you carve out pockets of meditation and reflection. Whether you’re new to meditation or are a seasoned practitioner, a ten-day Vipassana retreat at Wat Khao Tham may just be the thing you need to help still your racing thoughts and calm down a monkey mind. Idyllic and unspoilt Koh Tan (otherwise known as Coral Island) draws vacationers with its white sand beaches, turquoise waters and beautiful marine life. There are no cars nor roads, and the island is home to a small group of inhabitants living within a village – all of which adds on to its charm. Common activities included in the itinerary of day trippers include snorkelling in its crystal clear waters, relaxing upon one of the gorgeous white sand beaches or taking a walk along a wooden platform through the mangrove forests. 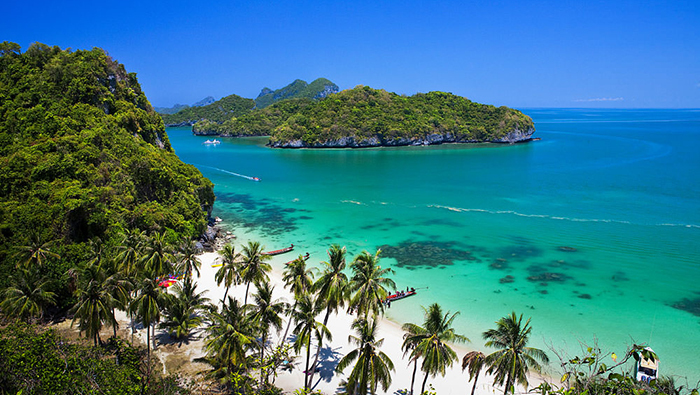 Just like its neighbouring islands, Koh Tao offers a picturesque landscape made up of white sand coasts, sparkling turquoise waters and lush greenery. 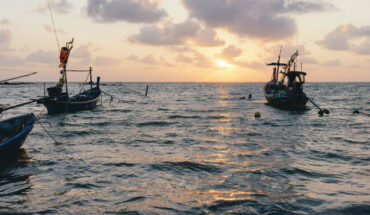 Apart from the usual suspects – like diving, snorkelling or chilling out at one of the island’s gorgeous beaches – Koh Tao also offers a variety a variety of unique activities. Embark on a discovery of the island’s gems by zipping off on two wheels or four (a quad bike may be a better bet for navigating the windy paths). The Lookout Point is one attraction you can’t miss – insane pathways lead up to the peak of the viewpoint, but the mesmerising vistas make it well worth the effort. For a little something different, make your way to the Koh Tao Shooting Range, where you’ll get to take your pick from a selection of revolvers, shotguns, magnums and rifles. Armed with your weapon of choice, all that’s left to do is to have a go at one of the targets! Thrill-seekers will enjoy the adrenaline surge that the Flying Trapeze Adventures or a Thai boxing stint provides. 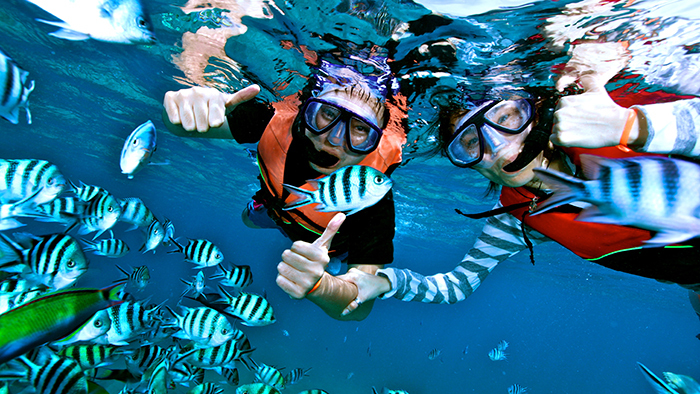 If you’re travelling with your little ones in tow, round up your clan for a day of family fun at Ko Tao Leisure Park. This tiny island, located south of Samui, is where lovers of big game fishing head to. It’s best to join in a tour, where transport, on-board lunch and live bait usually provided.